It is with great sadness that the AJA announce the death of their Honorary Vice President, legendary amateur rider Bill Shand Kydd, who died on 27th December aged 77. A man who possessed immense charm, great courage and charisma, one of his greatest assets was his unfailing sense of humour. 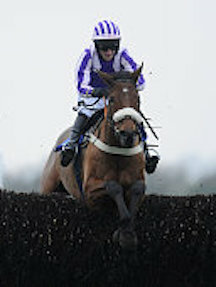 Bill rode 45 winners under Rules as well as more than 100 point-to-point winners. His rides included winning the National Hunt Chase at Cheltenham on FOREMAN in 1973 and he trained BLACK BAIZE to win the Kim Muir in 1971 (ridden by Lord Oaksey, then riding as Mr John Lawrence). Bill also rode in the 1966 Grand National. As a National Hunt breeder he bred HIGH BOARD, the dam of MORLEY STREET and GRANVILLE AGAIN, as well as BROWN WINDSOR, winner of the Whitbread Gold Cup in 1989. Following a catastrophic injury whilst team chasing in 1995 which left him paralysed from the neck, Bill relished his role as Vice President of the Amateur Jockeys Association and played a very real and active part. In spite of his life changing injuries, he was always upbeat and never had a moment of depression; nothing illustrates more clearly his tremendous strength of character. 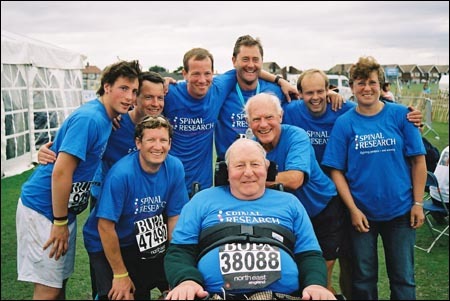 Bill also devoted much time and energy to raising vast amounts of money for the charity Spinal Research as well as Spinal Injuries Association. 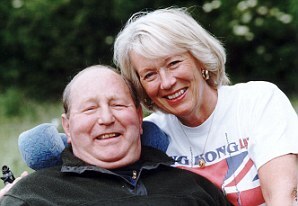 He helped to organise charity races, lunches and dinners, as well as tandem skydiving out of a plane at 12,000 feet. He also participated in the Great North Run no less than 3 times, being pushed around the 13-mile course from Newcastle to South Shields in a special lightweight wheelchair by a team of 4 runners made up of 2 friends, a godson and his son Caspar. Frustratingly, Bill’s health deteriorated in recent months and he died peacefully at home the day after Boxing Day. His funeral is being held privately and a memorial service is planned in due course with details to follow. Many congratulations to Michael Legg who enjoyed success at Wincanton today aboard QUITE BY CHANCE riding for Colin Tizzard in the rewards4racing.com Chase, a qualifying race for the Jockey Club’s Grassroots Jumps Series. Always handy, Michael enjoyed a great jumping performance from his horse in only Quite By Chance’s third time over fences. Congratulations to all winning connections. Joanna Mason enjoys the All-Weather! 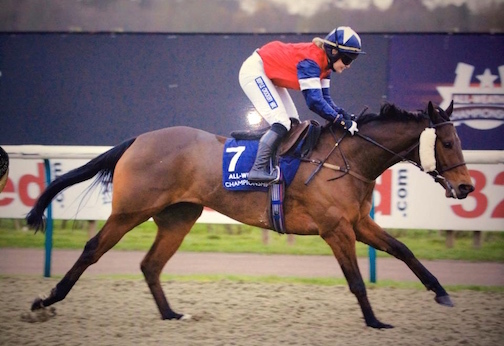 Many congratulations to Jo Mason who enjoyed a winning ride for trainer Anabel Murphy at Wolverhampton on Monday aboard INDIAN SCOUT displaying fine front-running tactics and followed up for the same trainer/owner Ridgeway Racing Club combination with victory at Lingfield less than 48 hours later with CROUCHING HARRY! Only 11 days to AJA CHAMPIONS CHRISTMAS BALL at CHELTENHAM! STABLE LADS ACCOMMODATION AVAILABLE WALKING DISTANCE FROM GOLD CUP SUITE!! CURRENT TARIFF: SINGLE £35 TWIN £52.50 TRIPLE £70 QUAD £75 PLEASE CALL 01242 513345 TO BOOK.